The truck driver should never have been behind the wheel. The driver had a “Z” restriction on his license, which prohibited him for operating any vehicles that did not have a breathalyzer interlock on the ignition. 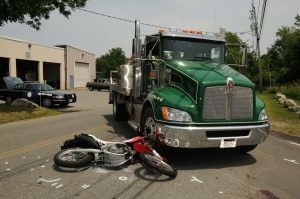 The truck had no interlock and the driver was criminally charged.